While we are known as one of the world's most competitive total crop solutions company, we are driven by our mission of emerging as a premier global provider of total crop solutions designed to secure the world's long-term food supply. Our key drivers are efficient logistics, be it our hub-and-spoke distribution model, or our robust network of distributors that enables us to seamlessly distribute products and circumvent logistic bottlenecks. We have adopted a highly integrated approach such that key products also serve as raw materials for the synthesis of other products. This enables achieving qualitative consistency and cost-competitiveness. With a keen focus on research and development, we have launched more than 100 products in the reporting period. 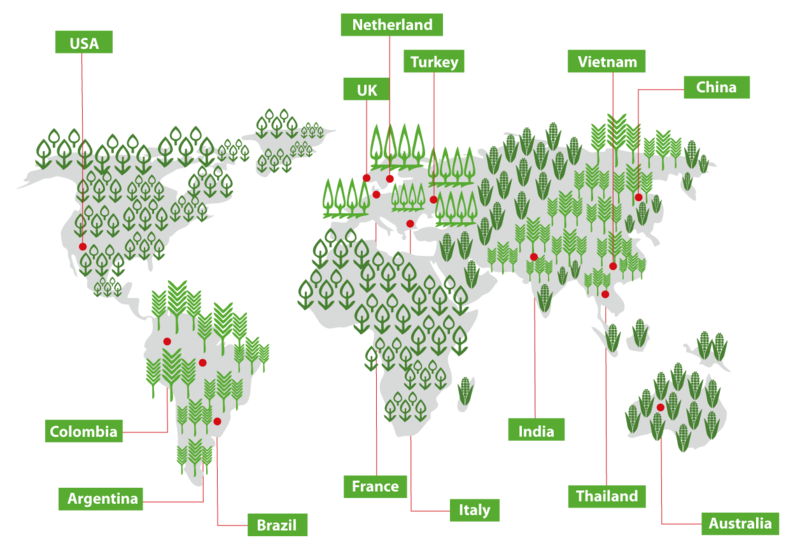 We have a market presence in 130+ countries across six continents, in the fast-growing agro markets of Brazil, India, Mexico, China, Australia, the US, Argentina, France and South Africa, among others. With over 60 years of experience of combining plant genetics and advanced technology, Advanta Seeds provides farmers with high quality seeds. 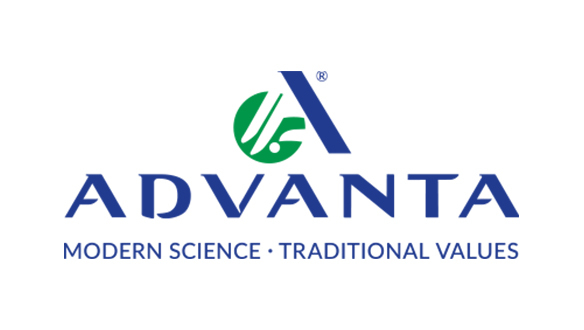 Advanta's unique, superior and proprietary germplasm combined with technology and bioscience capability gives the company leadership position in sorghum (grain and forage) sub-tropical and tropical corn, sunflower, canola, rice and vegetables. Advanta Seeds deploys the leading crop technologies for added value traits, biotech and high quality oil and yield traits, diseases, pest and herbicide resistance and drought and salinity tolerance. Advanta Seeds strongly believes in engaging with and building long-lasting relationships with local farmers. We are committed to improving crop resilience through our product offerings, and are among leading global producers and exporters of crop protection products. We assist the agricultural sector mitigate pre-harvest and harvest risks by complementing their methods through our blend of herbicides- insecticides- fungicides- fumigants and fumigation technologies. 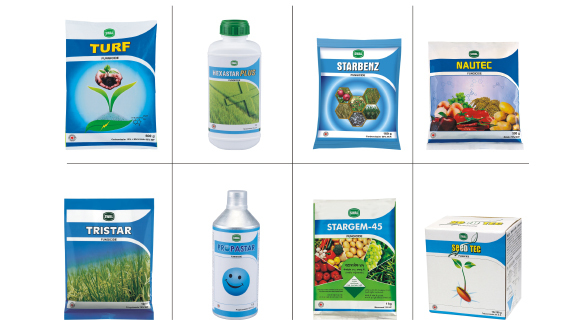 Superior product quality and sustainable growth performance showcase our expertise in crop protection. At UPL, we provide solutions to improve the primary and secondary issues affecting the farm sector. 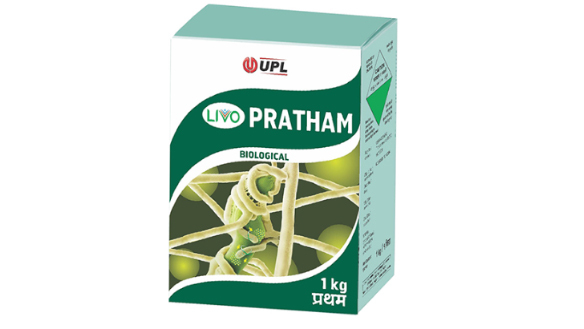 One of UPL's technology innovations- Biopesticide- the biological equivalent to chemical pesticides, which are eco-friendly. Another offering, called bio activators and adjuvants agricultural spray adjuvants enhance the effectiveness of pesticides and other agents that control or eliminate unwanted pests. Our adjuvant called 'U-Met', available globally, improves crop protection product effectiveness. We also deliver superior mineral and non-mineral nutrients to the plant in the most technologically efficient manner. To improve soil capacity and productivity, we have introduced a number of products that help in moisture retention and release, nutrient release, soil biotic habitat promotion and enhanced degradation resistance. Over time, these have become very popular across soil types, environment factors, crops grown etc. 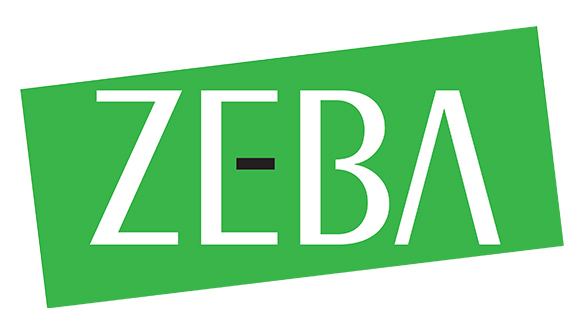 Zeba – a starch-based polymer – which, when applied to the soil, helps retain soil moisture and nutrients in the crop rhizosphere, released only following plant demand. The product enhances soil porosity and bio degrades easily, enhancing soil health. Another focus area is vector control, which is strengthened by our strategic alliance with Clarke – USA. We strive to address community needs through research and customized programmes. We offer comprehensive post-harvest solutions across the grain, fruit, and vegetable sectors to enhance marketability and farmer incomes. Our Phosphine fumigation method for pest control has been acknowledged as the most effective in the world. UPL's QuickPhos™, coupled with its principal ingredient Aluminium Phosphide, is a solid potent fumigant. MagnaPhos™ active ingredient comprises Magnesium Phosphide with the palate of its ammonia-free formulation and fast-gas release being its most popular presentations. The QuickPHlo-R™ system is ideal in state-of-the-art application technologies and is under patent in most countries. DECCO (DECay COntrol) for fruits and vegetables is an effective post-harvest system trusted by farmers and packers across the world for decades. 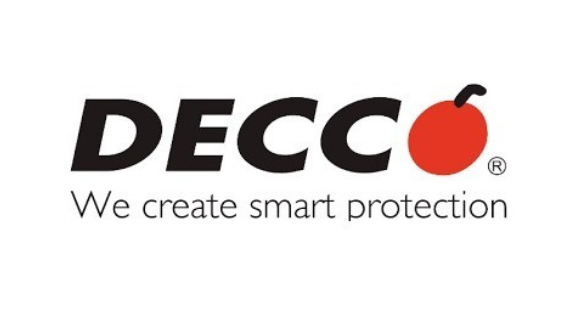 All ingredients used in DECCO manufacturing are approved as food-grade by the F.D.A, EU and P.F.A in India. Our agricultural biologicals is a diverse group of products derived from naturally occurring microorganisms, plant extracts, or other organic matter. As the need for solutions high on efficacy as well as environment friendliness becomes imperative, UPL is partnering with some of the leading companies in the space to provide a powerful range of crop protection biological.